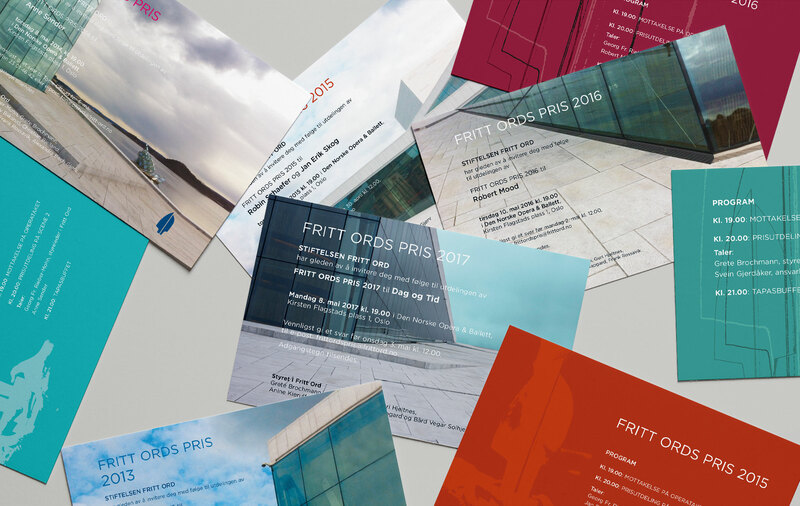 Invitation cards, programme and set design, Freedom of Expression Foundation. The Freedom of Expression Prize is the institution's highest distinction. According to its statutes, the Prize is preferably to be awarded in early May each year in connection with the commemoration of Norway's liberation from German Occupation. The Prize is an acknowledgement accorded to individuals or institutions engaged in activities deemed especially worthwhile in the light of the institution's objects clause. In extraordinary cases, two Prizes can be awarded during the same year, or the Prize can be divided between two recipients. The Prize is accompanied by the Freedom of Expression statuette, crafted by Nils Aas, and a sum of money. The decision to award the Prize is made by the Freedom of Expression Foundation's Board of Trustees.